You have worked in Germany? In this case you have paid taxes and most likely you have overpaid taxes. We are here to help you get back your money! If you were employed in Germany, you have paid income tax (Einkommensteuer) and more specifically you have paid taxes on your wages (Lohnsteuer). This tax had been withheld by your employer together with your social insurances. Depending on different factors and different conditions it is possible that you have paid too much tax, resulting in tax refund of the overpaid amounts, without even knowing. You can get an average refund of 1120 EUR! Apply today! Let our experts take care of your tax matters! 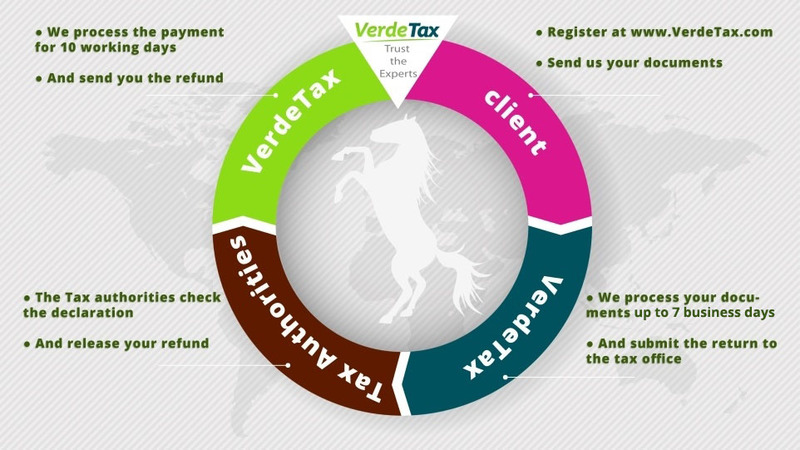 No need to waste time, worry and deal with the Tax Authorities - we will do it all for you! We can help you refund the income taxes (Lohnsteuer), solidarity surcharge (Solidaritätszuschlag) and the church taxes (Kirchensteuer)! Original Lohnsteuerbescheinigung - the tax authorities in Germany require your original payment documents and so does VerdeTax. Lohnsteuerbescheinigung is the payment document which you should receive from each employer, you might have, as soon as the employment has ended. The document includes the total amounts of the wages which you have received, the amounts of the withheld income tax as well as the withheld social insurances. Bescheinigung EU/ EWR - it is a certificate, issued by the local tax authorities. It confirms and proofs the local income you might have received in the relevant tax year in your home country. The document is issued to tax payers of the countries that ARE members of the European Union and the European Economic Area (EEA). Bescheinigung außerhalb EU/EWR it is a certificate, issued by the local tax authorities. It confirms and proofs the local income you might have received in the relevant tax year in your home country. The document is issued to tax payers of the countries that are NOT members of the European Union and the European Economic Area (EEA). copy of passport / ID card- we need them on order to confirm your personal details and your citizenship. Completed and signed VerdePack - this is our company set of documents. We will need you to fill it in, sign and send it to us, so we can start your refund process. Usually, the tax authorities need 16-20 weeks to issue a refund from the moment in which they receive the tax declaration. The tax declaration for the current tax year has to be filled after the tax year ends. We can accept and process your documents as soon as you end your employment period. 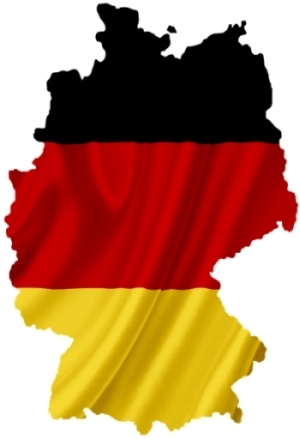 In Germany the tax year starts on 1 January and ends on 31 December. For which years I can claim a refund? At the moment you can still claim a refund for 2013 tax year. What should I do if I do not have a Lohnsteuerbescheinigung? We can get the missing documents for you. Please contact us and we will walk you through the process. What is an Identifikationsnummer, a Steuernummer and an eTIN? Identifikationsnummer is a number newly introduced in 2010, its main purpose is to replace the Steuernummer and the eTIN. It consists of 11 digits and is issued once in a lifetime, therefore has no expiration date. It can be found on the Lohnsteuerbescheinigung. eTIN is a number that is issued by your employer, its main purpose is to support your personal information when your file is transferred to the tax authorities via the online services of the tax authorities. This number consists of 14 upper letters and digits, which represents your names and date of birth. Steuernummer is your German tax number, issued by the tax authorities to identify you as a taxpayer. It consists of 11 digits and can be found on the Lohnsteuerbescheinigung. Can I apply for a refund without any of these numbers? Yes, the tax authorities have records for you as a taxpayer. If you do not have a Steuernummer, the tax authorities will issue one for you. Yes, if you have received income in Germany, you are obligated to file a tax return. Please have in mind that filling a tax declaration may result in a refund for you. If I do not get a refund do I owe you a fee? Register through our website and send us the necessary documents. Our team of experts processes your information in 24 hours and submit it to the tax authorities. 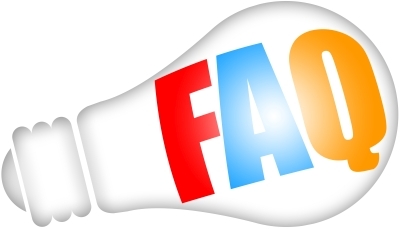 Once the tax office receives your documents, it will take them 4-6 months to issue your refund. Once we have the refund, our financial department needs 10 to 14 working days to process the payment and send you the refund.